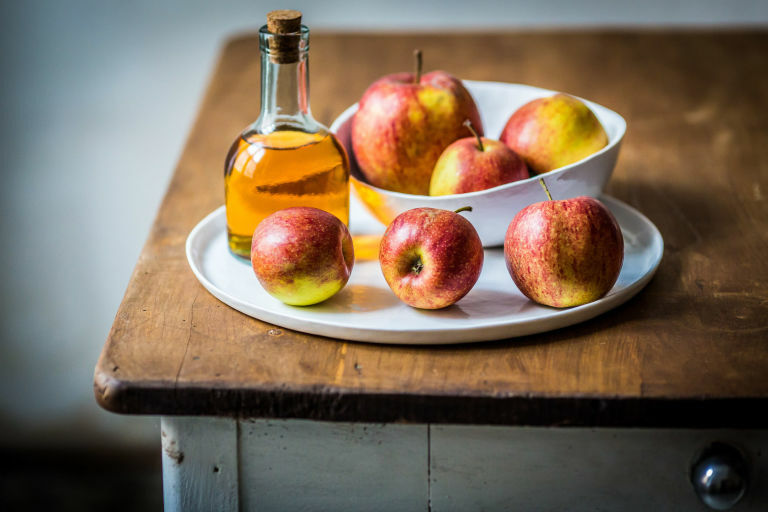 For decades, apple cider vinegar has been labeled as a superfood due its numerous health-boosting benefits. The fermented beverage that’s packed with enzymes, probiotics, and trace minerals has been shown to lower blood pressure and serve as an antibacterial when treating wounds, and has been hailed as a “cure” for hiccups, acne, heartburn, a sore throat, and bad breath, among countless other ailments. So is there any solid proof that sipping ACV is directly linked to melting the pounds away? Not exactly. It can be an effective ingredient in your eating plan, in terms of weight loss and weight management, as well as overall health? Certainly.